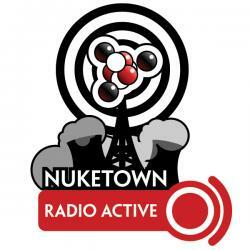 This episode of Nuketown Radio Active is brought to you by the letter F. Also, StarGirl turns five, we buy a car-camping tent, Nuketown gets upgrades to its anti-spam capabilities, Critical Hits blogs about the life of RPG gamers, Reaper announces modern day miniatures, and the MacMommy figures out how to balance teaching, technology, and raising a toddler. Finally, I’ve got a review of Portal, the excellent puzzle game released as part of the Half-Life 2 Orange Box for Xbox 360 and Windows. This heralds our first viewing of Chronicles of Narnia, which she greatly enjoy. Her favorite part? The coronation at the end. Next up is Harry Potter and the Sorcerer’s Stone (at her urging) and after that… maybe Star Wars? But how to *watch* Star Wars outside of the theatre and still get that maximum impact? I’m thinking a field trip to Erilar’s house is in order… Also … is it irrational me to not want her not to discover the secrets of Star Wars before she’s watched the movies? NeutronLad likes F words: Five, Frog, Fall. Really need to be careful not to swear in front of him this week… Also, Fuffy (sofa) and Fiffy (fish). A bunch of other words as well — seat, me, please, help, sit, etc. Don’t watch The Mist. Ever. Even if you think you know how it ends based on the Stephen King short story … because you don’t. You really, really don’t. Working on updating the site with new capabilities. Thanks to a new anti-spam module, I’ve opened up comments so you no longer need an account (or to remember a password) to post comment. Experimenting with the “Views” module to bring about the return of the links section. Also looking at WYSIWYG editor (to speed up my posting) and native image support within Drupal (also to speed up posting). A blog about gaming life. Recent posts had interviews from the D&D Experience convention, Xbox 360 and Wii gaming commentary, and generally geekery (like the new DC direct-to-DVD releases of anime Batman and Justice League). Reaper’s launching a new line of non-fantasy figures in June, for use with modern/scifi/horror games (or so I’m guessing based on the preview figs). Very cool, and exactly the sort of thing I’d like to use with Savage Worlds. Learning, kids, Macs and Moms, all in one blog. Flickr vs. Picasa review: A comparison of various photo hosting services. Tales of raising a toddler boy (to which, I can certainly relate). I got the Orange Box for Christmas, which includes Half-Life 2, Episodes 1 & 2, Team Fortress 2 … and Portal. Premise is simple: You’re trapped in a massive experimental complex, and must try and find your way out. To that end, you’ve been given a special portal forming gun. One creates an entrance doorway, the other and exit. You must navigate through the various challenges by throwing portals up on walls. But it gets more complicated. There are triggers — either weight or energy — which you must setup, which sometimes means carefully herding balls of power around a room. Also, gravity and velocity plays a big role; when you throw yourself off a cliff and exit through a portal, you do so with all of your velocity intact. This allows you to create a horizontal exit, but vertical entrance, and throw yourself across rooms. Very clever. Very puzzling. Very fun. If you’re a geek. Otherwise, well, my wife describes it as the most boring game ever made. Worse then shooting communist boxes. Jordan loves it; thinks my failures navigating rooms are hilarious, and likes to offer lots of advice. Which is a major point in its favor: you can play this around kids (as long as you ignore the whole bloodstains on floor thing, which are very infrequent). Cool to see Jordan start to puzzle out how to move around the room. Word to the wise though: It can be nausea inducing. If NASA isn’t using this to train astronauts, they should. It can be very difficult to re-orient yourself after jumping through a portal, and trying to orient yourself in the split second before you fall back through. Increasingly amusing/psychotic computer companion is good for laughs. Next Post:Game Day: Make Mine Freedom!